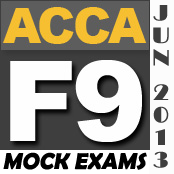 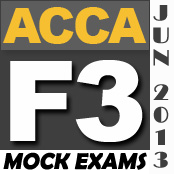 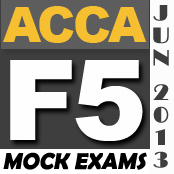 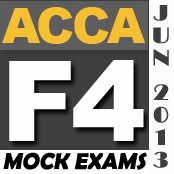 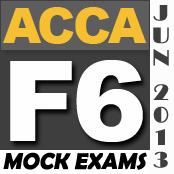 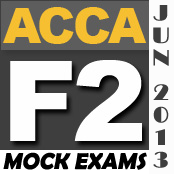 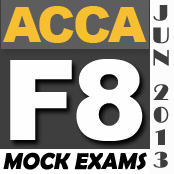 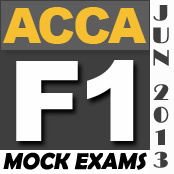 Following is the complete collection of our latest mock exams for June 2013 exam session of ACCA qualification. 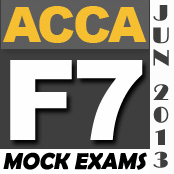 These mock exams help you evaluate yourself well before exams to assess your strengths and weaknesses. 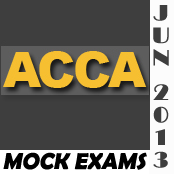 And not just this we have planned to accept the answers from students and after marking all the scrips we will make feedback report just like normal ACCA exam so that students can assess theirselves in the same way they are assessed in the real exams.